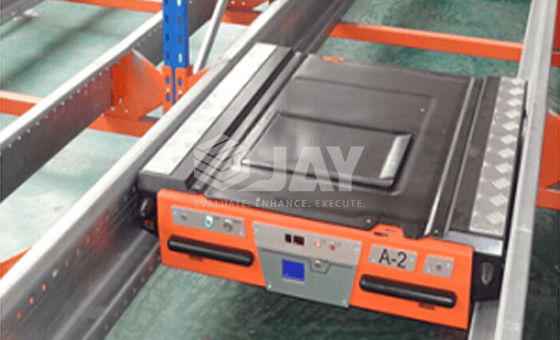 Jay Storage Radio Shuttle Racking Pallet are a semi-automatic or fully automatic storage solutions for handling goods inside channels similar to Drive-In systems. 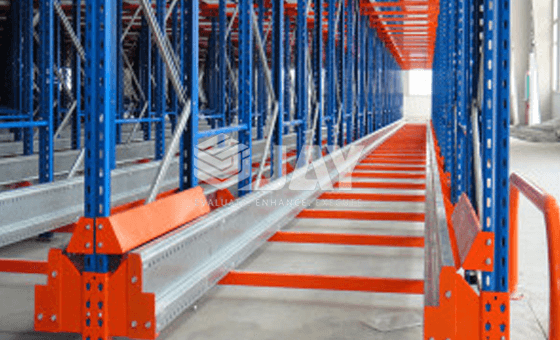 The Pallet shuttle system removes the need for forklift trucks to enter the loading bays and hence offers a cost effective & time saving solution. 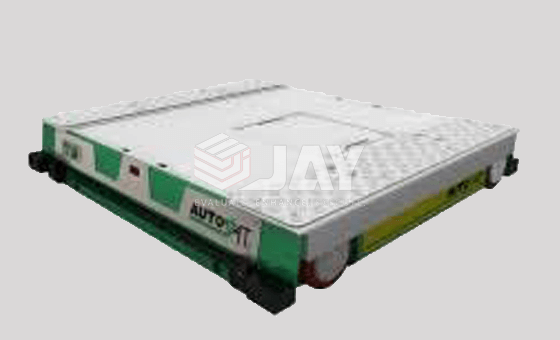 This is a High-Density Pallet Storage System, making it easier to load and unload goods thanks to an electric carriage called pallet shuttle. The system uses shuttles to move independently within the rack itself, meaning forklifts don’t need to reach inside the storage lanes. The operator performs all the procedures for storing and extracting pallets simply by using a remote control. 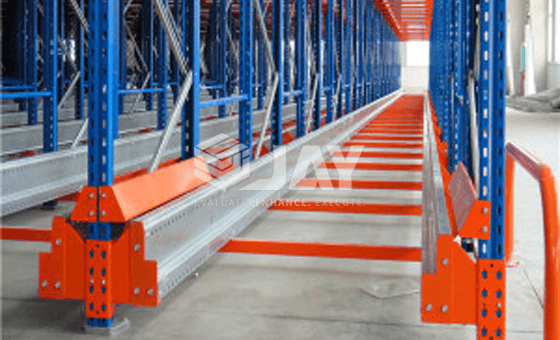 Jay Storage will provide you with the best quality of Radio Shuttle Pallet Racking, Satellite Racking and Channel Storage Systems. Contact us now for more details. 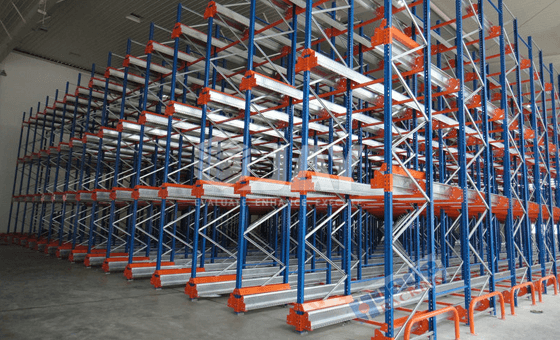 Efficient system of compact storage for warehouse with low levels of sku. optimization of storage, loading and unloading stages. Low level of risks to the warehouse operating staff. Low level of risks or damage to the equipment-loading machinery & racks. Removes the need for special fork-lifts. less chances of damage to the racking, due to the fact the forklit does not enters the loading bay.